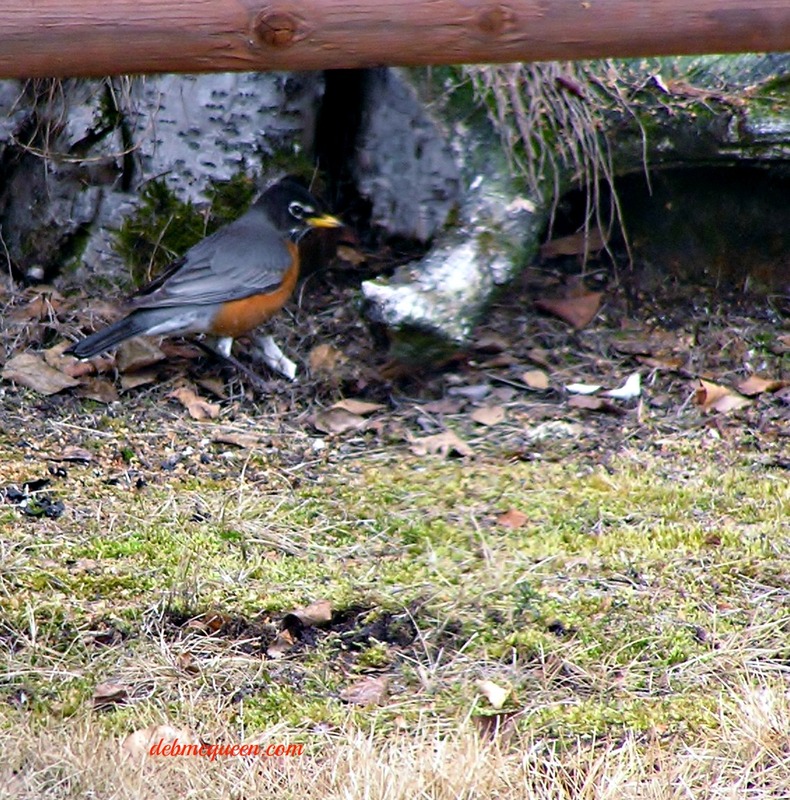 We had our first robin in the yard today. I have heard them for the past week, this is the first one that spent some time in the yard. It sprinkled rain this afternoon, so I got some beading done. While taking a break I noticed this couple walking down my driveway. 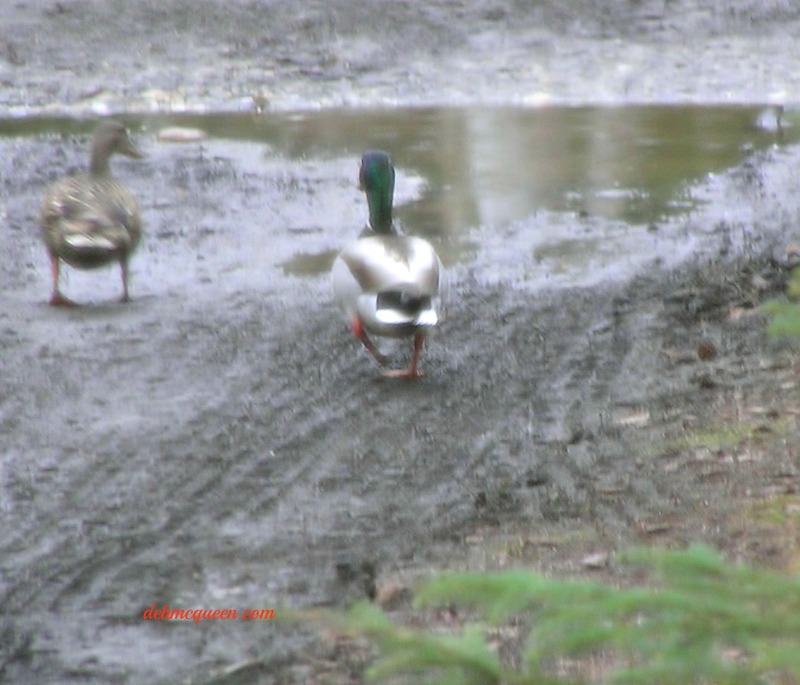 It is always good to see the mallards come back. I love spring. 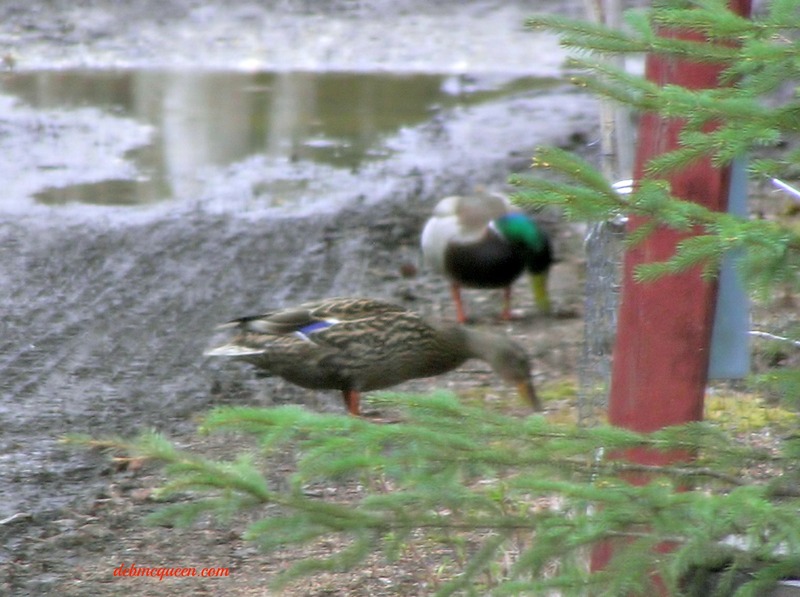 Sorry about the blurry pics, taken through the screened window…I did not want to scare the ducks! Like you, I love to greet the returning seasonal residents. My phoebes, robins and rose breast grosbeak all made their appearance this week. I love to sit and bead and watch everyone outside my french doors. Lovely inspiration, too.